Indian Lemonade – easy thirst quenching drink to have at any time. We can make lemonades in different tastes by adding nannari sarbat or soda. Indian Lemonade – easy thirst quenching drink to have at any time. We can make lemonades in different tastes by adding nannari sarbat or soda. Its good to have both salt and sweeter version. Cut lemon into two pieces and squeeze the juice completely. Remove the seeds, add water, sugar, salt and ice cubes. Mix well till the sugar and salt dissolves completely. Meanwhile mix sabja seeds in enough water for 15 mins. 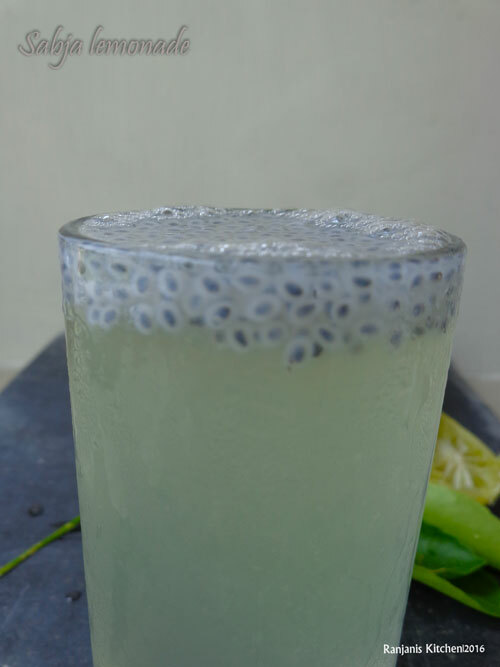 Pour the lemon mix in glasses, add required tbsp of sabja seeds and serve.